Why Does Goodreads Tout Fake Quotes? Yes, you've seen it attributed to Eliot everywhere: Twitter, Facebook, Pinterest, t-shirts, kitchen magnets, mugs, bookmarks, tote bags, tattoos. But there's no source. 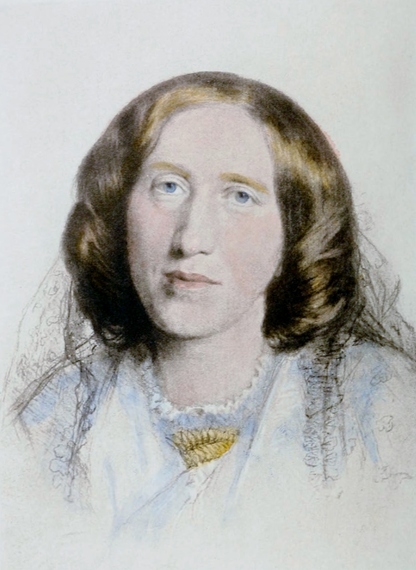 I read George Eliot in college religiously, read Eliot biographies, too. She was a major inspiration to me as a budding writer. So the first time I saw the quote it felt off to me -- a bit too peppy, more like something from a Hallmark greeting card. I poked around the Internet, and though it's inescapable, there's no attribution whatsoever. Nobody who knew her records it as a comment she made; it's not something she wrote in her diary; and it doesn't appear anywhere in her published work or letters. That's been proven by Eliot scholars, as reported in the New Yorker. It's also been researched at a great web site, Quote Investigator, which shows a long history of misquotation. My email contact at Goodreads asked me to post on the "Librarians page" and said the team would investigate. I did, but seriously, what was there to investigate? That had already been done by scholars who I imagine have more expertise than the intrepid Sherlocks at Goodreads. The bogus quote is still there. I guess the Goodreadniks either had a case of the "slows" as Lincoln said about General McClellan -- or it didn't matter to them that Goodreads is a treasure trove of unsourced quotations. After all, this quote has almost 40,000 clicks, and that apparently means more than the fact that there's no proof whatsoever that George Eliot ever said it or wrote it. I guess it falls into a new category of reality: "alternative facts." Lev Raphael is the author of Rosedale in Love, a response to Edith Wharton's The House of Mirth, and 24 other books of fiction and non-fiction.